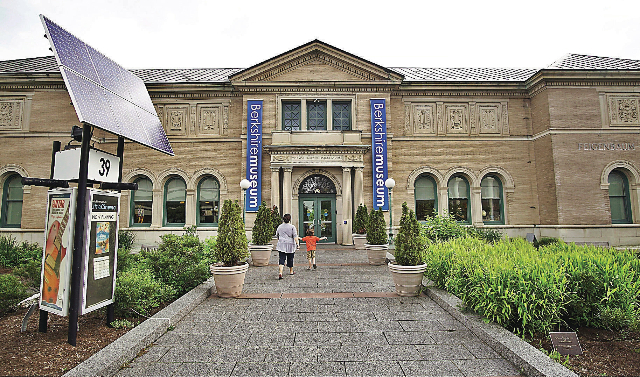 Raising its bid to halt the Berkshire Museum’s plan to sell-off 40 of its most important artworks—including two irreplaceable Norman Rockwells donated to the Museum for the people of Berkshire County by the artist himself—Save the Art – Save the Museum, a community-based grassroots movement, announced today that it has launched a GoFundMe campaign to underwrite legal action on behalf of Pittsfield’s and the Berkshires’ cultural heritage. Save the Art began as a spontaneous protest on social media shortly after the Museum announced plans for the sale in July. It currently has more than 1,900 members on its combined Facebook pages, drawing support across the Berkshires and all over the US. Save the Art has gathered more than 1,400 signatures on petitions sent to the Massachusetts Attorney General, and has generated an outpouring of letters of concern to state officials, representatives and the press, turning the matter into a state and national issue, with extensive coverage ranging from the Boston Globe to the New Yorker. Save the Art believes that deaccession of the Rockwells and other masterpieces, including major works by Bierstadt, Church and Calder, dishonors the founders and stewards of the Museum's past and deprives future generations of their cultural inheritance. In pursuing the auction, the Museum betrays its longstanding role as keeper of Berkshire cultural memory. The sale violates the public trust, flouts ethical principles broadly held in the museum community, and sets a damaging precedent for museums and cultural institutions across the nation. Rather then sending these great works into private collections, where they will never be seen in public again, we encourage the Museum to use them as a springboard to establish the Berkshire Museum as one of Massachusetts’ great regional museums of art, history and culture. As such, the Museum would provide access to the county's art and cultural heritage within walking distance to the children of Pittsfield, attract tourism, and energize the city’s economy. The core of the Berkshire Museum collection was first assembled for the Berkshire Athenaeum, Pittsfield's public library, beginning in the 19th century. In 1903, the museum was established as a separate entity, funded generously by paper magnate Zenas Crane. Crane invested his wealth in his community, donating the land where the Museum building now stands along with numerous artworks and cultural artifacts and a substantial financial endowment. He actively purchased art for the Museum, including several of the world-class works now scheduled to be sold. Crane encouraged the development of collections that would display, under one roof, the splendors of nature and creations of human genius, to create a “window on the world” for the people of Pittsfield and all of Berkshire County. Now, the Museum's Board of Trustees and executive director seeks to “monetize” the most iconic works in its collection to fund a radical dismantling and rebuild of the Museum in a sharp departure from its mission. The trustees have stated that the sale of the artworks will raise $40-60 million to support the Museum’s “new” vision. In addition to the two Rockwell masterpieces, works to be sold include significant landscapes by Hudson River School artists Albert Bierstadt and Fredric Church, and a pair of sculptures by Alexander Calder, now internationally-recognized but once a Richmond resident, whose first commissions were for the Berkshire Museum. Museum assertions that the sale is necessary to avert a financial crisis are widely discredited. No fewer than four separate analyses, including one by the Massachusetts Cultural Council (MCC), have found that the Museum has persistently misrepresented its financial position. In addition to the MCC, which supported the Museum with more than $1M in grants over the past ten years, major museum and cultural organizations have publicly condemned the proposed sale. The Museum was forced to withdraw its affiliation with the Smithsonian Institution in the wake of the announcement.